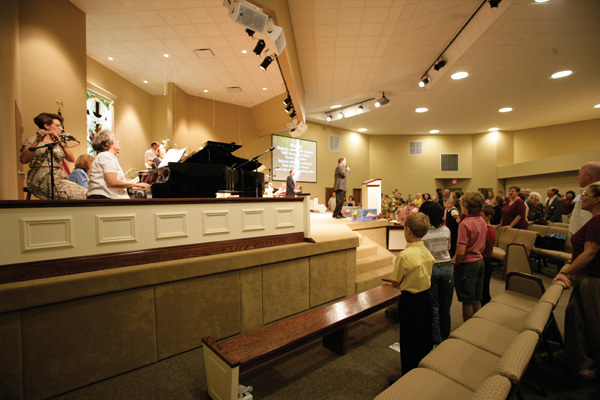 First Church of the Nazarene in Shelbyville, Tennessee originally had four separate buildings on their campus, which created challenges for ministry growth. The sanctuary was also outdated and located at the far end of the property, making remodeling or expanding this building impractical. 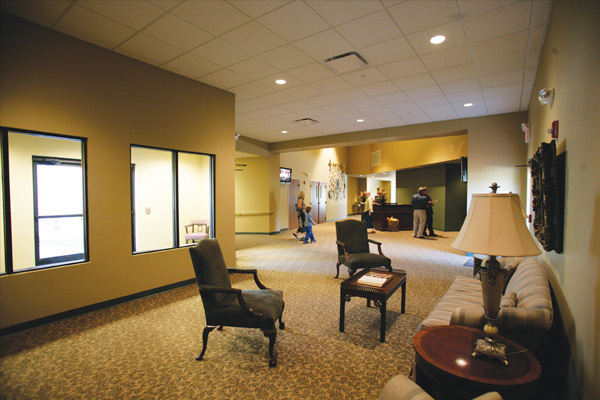 The McKnight Group proposed connecting and remodeling their existing buildings and adding a new worship center in between, which created one facility that would greatly improve their efficiency and ministry offerings. 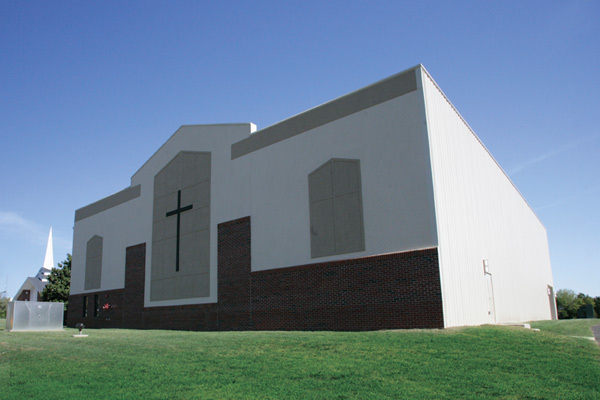 The new worship center successfully tied the existing buildings together into one free-flowing complex. The exterior of the new sanctuary is beautiful, inviting and stands out from neighboring churches in the Shelbyville community. Around the worship center new classrooms, conference rooms and a baptistery were constructed. A new foyer connects two of the pre-existing buildings, providing a “like new” presentation and feel to the original structures. 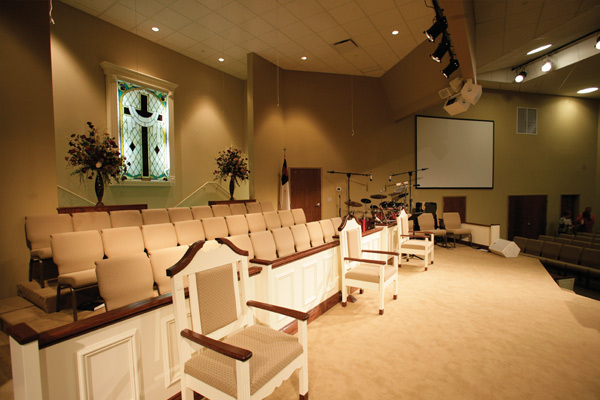 The McKnight Group also designed a new master plan for the church, so that as the congregation grows, the church and its facilities can expand accordingly. 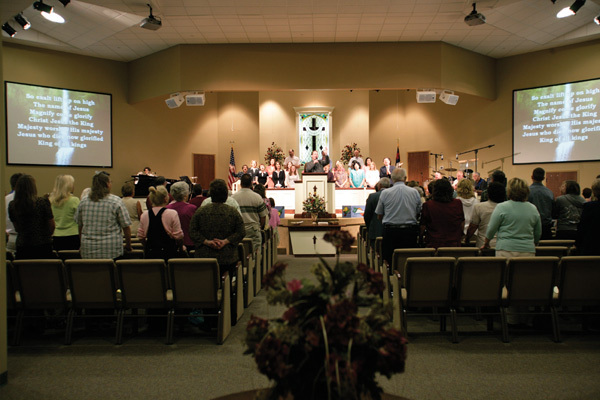 As a result of the new worship center, the entire congregation is reunited for worship for the first time in many years. The church has become a sanctuary for the community and a tool for spreading the Love of God. Membership remains strong and continues to flourish, while their ministry offerings have grown and expanded.